Y Sims 2 Fanatics Community – NEW! 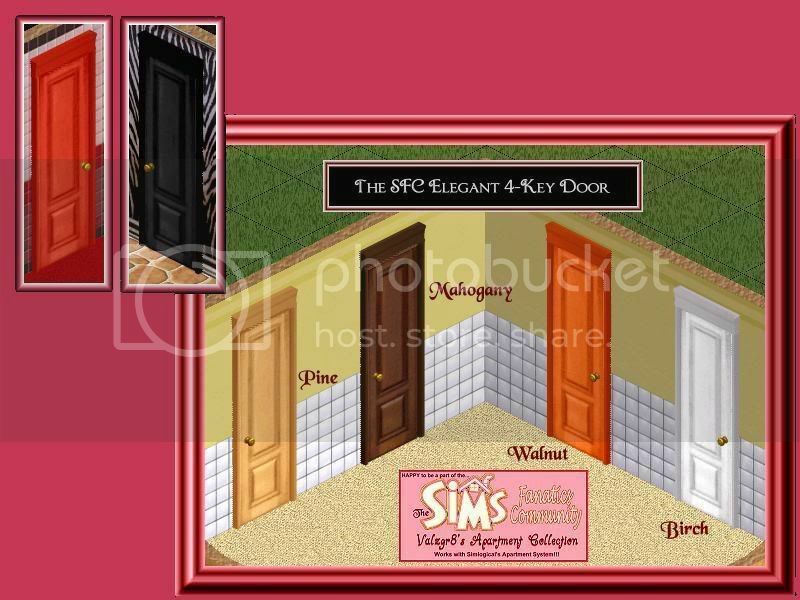 Inge Jones, the creator/owner of Simlogical, has made some of the best hacks for the Sims 1 that I have found. Her Apartment Systems add a dimension to the Sims that was never dreamed of by its creators. Y Have more than 8 Simmies living on a lot. Y Have up to 4 families living on a lot. Y Build apartments on a lot. Despite the fact that she is the creator of some of the world’s greatest Sims1 hacks, Inge is a lovely and unselfish individual who has one of the most liberal cloning policies in the Sims Community! It is owing to this that I am able to provide you with my own collection of Apartment objects! Thank you, Inge Jones! You are a treasure to the Sims Community! That said, all of my objects on this page are cloned from Inge’s Simlogical Systems, and are recolored, retextured, and/or reshaped to add more variety to the Simlogical Systems! I hope you enjoy them all! If you do, please be sure and drop Inge a note telling her thank you for sharing so generously! For more information on Simlogical Objects and their use, visit Simlogical and tell Inge Jones that Sims Fanatic Val sent ya! SFC Apartment Objects in your game unless you have the Simlogical Apartment Controllers installed, or your game may crash! These instructions assume your Sims is installed in the default location. If it is not, please see the SFC Download Installation/Uninstallation Guide to learn how to locate your Sims Installation folder. For easy organization of your favorite downloaded objects, all downloads may be placed in subfolders (by creator name) inside the ‘Downloads' folder. If you have all EPs installed, there is no limit to the number of subfolders that can be placed inside the ‘Downloads' folder. To uninstall, simply delete the .IFF or .FAR from the ‘Downloads' folder or subfolder. 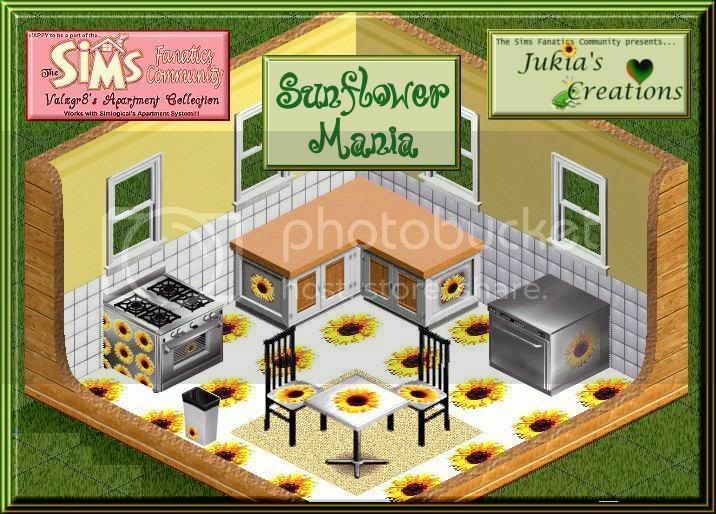 Click here to download the Simlogical Versions of Jukia’s Sunflower Mania Set! For more information on Simlogical Doors and their use, visit Simlogical and tell Inge Jones that Sims Fanatic Val sent ya! My sunshine girl, Jukia, loves Sunflowers! So, it’s only natural for her to create a Sims 1 Collection that features them. 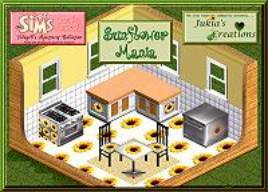 To welcome Jukia to our SFC staff, I have Simlogical-ized her beautiful Sunflower Mania Set! Download the entire set in one convenient .FAR file right here, or visit Jukia’s Creations to get the regular version! Click the image to see it full sized! Click here to download the Apartment Versions of the SFC Elegant Door Set! SFC Apartment Collections in your game unless you have the Simlogical Apartment Controllers installed, or your game may crash! As Simlogical’s BIGGEST fan, I cannot help but add to the Apartment collection with some of my favorite doors! 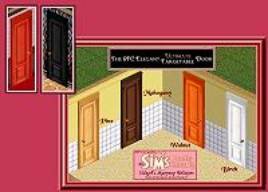 Download the entire Simlogical set in one convenient .FAR file right here, or visit the SFC Portal Company to get the regular versions along with their matching doorways! Click here to download the 4-Key Versions of the SFC Elegant Door Set! Simlogical’s 4-ky doors allow you to lock out Simmies and allow only the 4 Simmies to whom you give keys to enter and exit this door! Click here to download the Bathroom Versions of the SFC Elegant Door Set! Simlogical’s Bathroom doors lock behind the Sim who enters a bathroom, giving your Sims the privacy the crave and keeping the maid from trying to clean the toilet while it’s in use! Genius! Click here to download the Ultimate Target Versions of the SFC Elegant Door Set!